On March 11th 2011 a powerful earthquake struck Japan. As a result, a giant tsunami devastated the North-East coast, where over 18,000 people lost their lives. Sadly the seismic sea wave caused horrific damage to the Fukushima nuclear reactor as well. In May 2011, it was confirmed that a serious leak was detected in one of the reactors. Due to the leakage, over 51,000 residents were evacuated within a 20 km radiance, including over 400 locals from Minami-soma. Despite the fact that a large number of people escaped, there were many animals left behind. 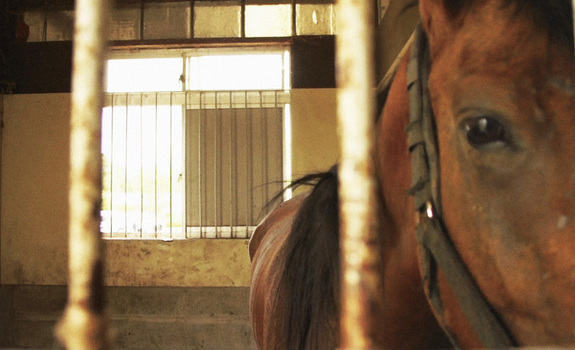 The Horses of Fukushima tells the story of the abandoned animals and their owners. Yoju Matsubayashi’s film is a one of a kind documentary that examines the lives of several horses that survived the earthquake and radiation. The film mainly focuses on its protagonist Mirror’s Quest, a former racing horse that was trapped in a stable during the earthquake. He was lucky to escape the butcher’s knife because his radioactive meat couldn’t be sold. He is looked after by a horse breeder, Tokue Hosokawa, who risks his life to care for the animals. Due to government restrictions, Hosokawa isn’t allowed to sell the horses for meat, and for that reason he decides to use the strongest ones for the Soma Nomaoi Festival in Minami-soma to celebrate the horse’s great contribution to society. In the documentary we witness Mirror’s Quest’s healing process. At first we observe his suffering and trauma after being found by farmers. His eyes served as a symbol of anger and misery with respect to humans. Eventually, Mirror’s Quest and the rest of the horses recovered and the animals are slowly prepared for the festival by going through physical tests. 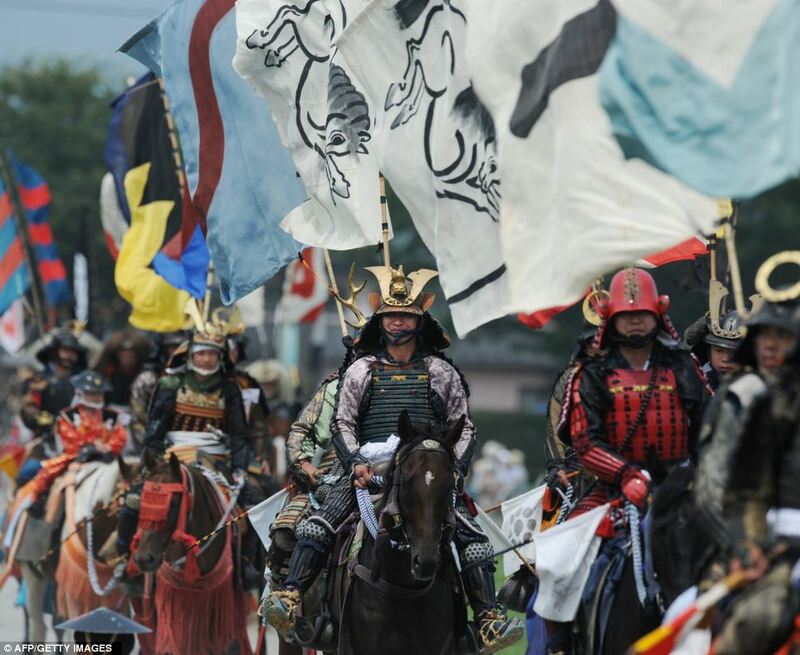 After the disaster, Minami-soma was virtually a deserted town, however, after more than a year the town’s streets came alive with the race participants; wearing richly decorated helmets, carrying traditional swords and dressed in Samurai armour. They all raced proudly in support of one of the oldest traditions in Japan. The Horses of Fukushima not only tackles the suffering of the animals but also points out their uncertain future amid bureaucracy, lies and inefficiency. Yoju Matsubayashi’s film was interesting, and yet slightly uncomfortable to watch. Unfortunately, the director refused to take a moral stand on what was really happening to the horses. How can you celebrate the Soma Nomaoi when it leads to death of hundreds of horses afterwards? With great regret I read that over 100,000 horses are processed for meat every year in Japan. It is hard to comprehend as I have always thought that a horse was man’s best friend, how can one eat it? 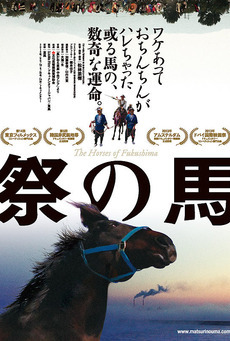 Nevertheless Matsubayashi’s documentary is worth watching in order to see the horses’ beauty and their determination to survive after the 2011 disaster.